Basement Engineering is another sister company of Dry Basement Foundation Repair. The company provides technical assistance to Dry Basement when designing solutions for foundation repair. It also provides structural assessments and designs for a variety of customers. Basement Engineering’s website had been offline for several years when Catena Creations rebuilt it from scratch. 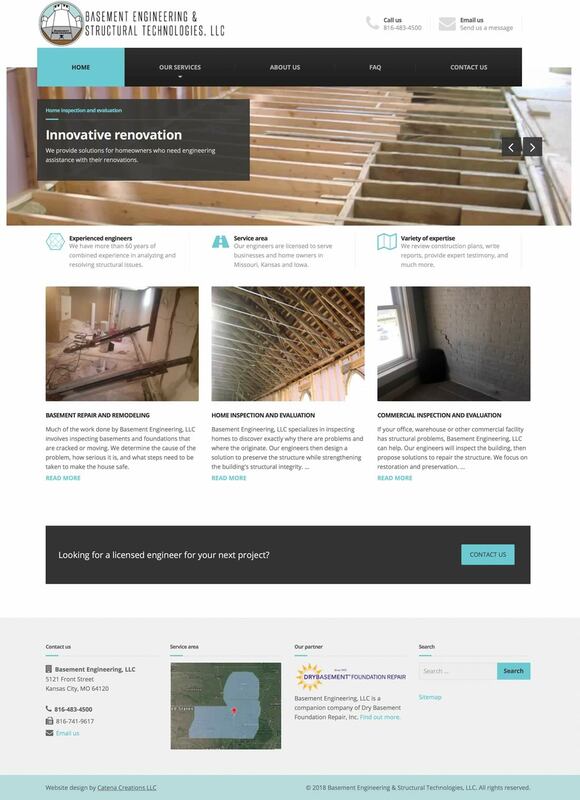 The company has a different logo and branding standards from Dry Basement and Basement Magic, so we selected a WordPress theme to reflect its unique mission and identity. However, the theme also contained design elements that were similar to the Dry Basement website to maintain corporate continuity. Text was written and photos were selected with the staff’s assistance to ensure the company and its services were represented accurately.